Feel your GACE Early Childhood Education study guides aren’t good enough to get a passing score? If you’re preparing for the Georgia Assessments For The Certification Of Educators, you may always feel confident and ready. Your GACE Early Childhood Education test prep strategy is flawed if you’ve been trying to memorize hundreds of pages of content knowledge or list of information over and over again. Face it – you’re like many test takers, you’re not soaking up any real productive study sessions. As far as you’re concerned, those boring lists, flash cards and other prep tools aren’t doing squat to help you get a passing score. Your GACE Early Childhood Education test practice problem doesn’t have to do with the actual test content. In fact, far from it. Your problem is that you’ve been overloaded with too many testing competencies for Georgia teacher certification. Too many GACE Early Childhood Education prep classes, webinars and books focus on quantity, not quality. 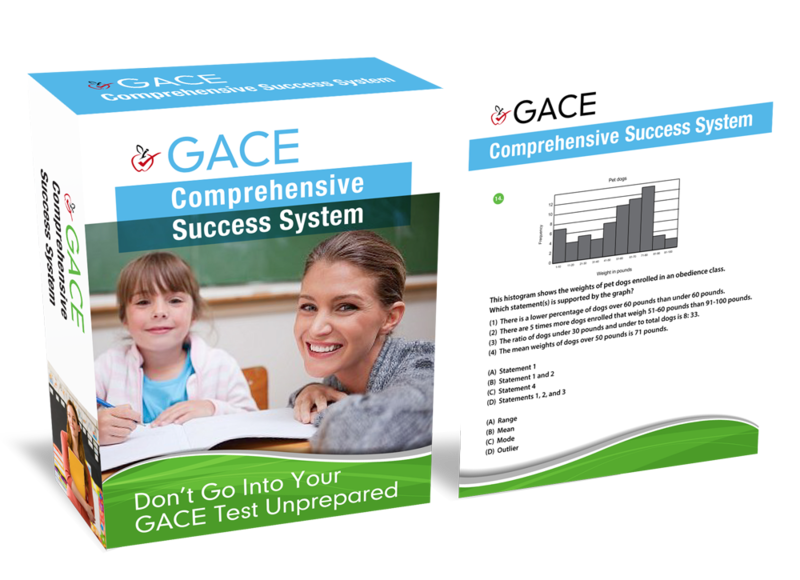 GACE Early Childhood Education practice tests overload their users with tons of test content, competencies and theories, expecting that that’s enough to ensure a passing score. But it’s no shock to you that Early Childhood Education a free GACE practice test is free because it’s not worthy of placing a monetary value on (due to low value in helping you pass). GACE Early Childhood Education practice tests should focus on quality, not quantity. And that’s why I’m about to highlight one of the most important competencies you’ll ever need to know for your Early GACE Childhood Education testing date, especially if you’re going to take the Professional Pedagogy or Early Childhood exam. Think of this competency as the ace up your sleeve – the ultimate card to play when you’re backed in the corner in your test prep. The Basic Trust stage mandates that a child who is well-nurtured up until eighteen months will be a naturally trusting person. Because of the age range, you won’t see this as a question on your testing. The Autonomy stage (between the ages of 18 months to 3 years) surmises that a child will gain control of his world, and will be proud of his new abilities. The Industry stage (6 to 12 years) means that children are expecting to learn and produce; if they don’t, they’ll end up feeling inferior to their peers. In the Identity stage (adolescence), the teenager will begin to ask herself, “Who am I?” The last three stages won’t appear on the test; however, they’re listed here for the sake of knowledge. The Generativity stage (middle age) mandates that adults need to feel productive and worthwhile in order to continue growing. The final stage is the Integrity stage (old age), which means that a person must feel fulfilled and completed by the life they’ve lived. Remember, focus your GACE Early Childhood Education study on understanding core proficiencies while going through your study guides. If you’re not sure what they are consult the official website. Be sure you’re also prepared to apply this information to different situations. You’ll definitely will need to distinguish between the correct answer and ‘almost correct answer’ on many occasions. Therefore, schedule extra time to study core concepts tested on your exam. Expect some ‘wild card’ GACE Early Childhood Education test questions as some esoteric questions show up on every exam date. That’s because you’re not supposed to get 100% on a standardized test. Just don’t panic and let that psych you out in the test center. Instead, concentrate on getting GACE Early Childhood Education questions about information you do know correct. To do that, read the question and consider each multiple choice answer carefully. The worst GACE Early Childhood Education test taking mistake you can make is getting the answers wrong and failing because you didn’t slow down a little and read each exam question completely. Take an extra moment to think through what the multiple choice or essay question is asking and thoroughly evaluate each possible answer. Beware! The correct answer and the ‘almost correct answer’ are always a hair off, so don’t fall into the common trap of not slowing down a little and reading carefully. Know the key GACE Early Childhood Education concepts you’ll be tested on (during your GACE preparation sessions). Get a few more Early Childhood Education test taking skills under your belt (the ones you need to crush your Georgia teacher certification exam). Visit: Free Georgia Assessments for the Certification of Educators Study Guide right now.